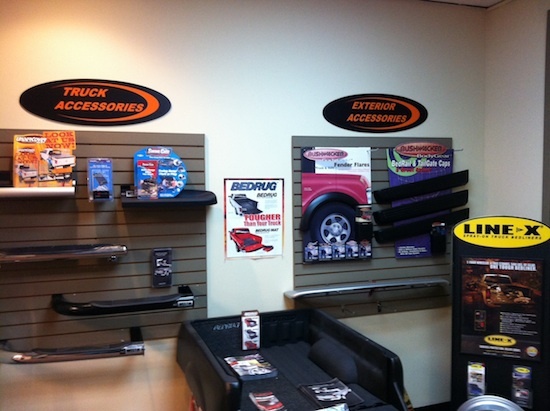 Xtreme Vehicle Designs has been in the truck accessory business for over 18 years. With our experience, we have gained extensive product knowledge, which enables us to recommend the products best suited to our customers’ needs. We have many parts in stock, but can easily special order any product and can usually have the item in our store within a day. We carry many brands including: Rough Country, Westin, K&N, Edge Performance, Bully Dog performance, KC HILITES, AEM, Skyjacker lift kits, Fabtech lift kits, and many more. Again, we carry over 200,000 SKU’s and can get most any part you can imagine. Vent visors, in channel or exterior. As a diamond weathertech dealer we recommend weathertech whenever they have a part available. We sell and install kits from rough country, truxxx and others. Let Xtreme help you get the right parts for your aplication. 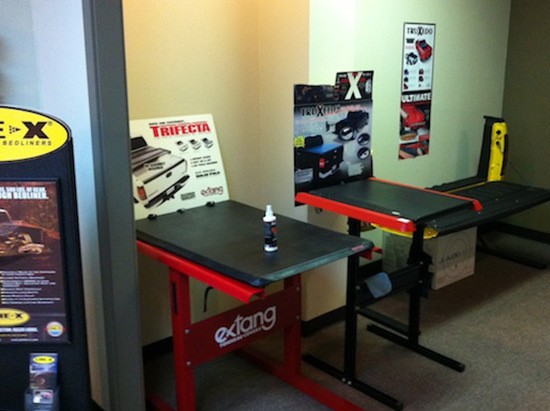 We sell and install tonneau covers from Truxedo, Bakflip, roll-n-lock and others. Our hitch and harness pricing is extremely competitive and we can get your vehicle specific part within a day or two. Let us know if you want a 7 pin or 4 pin harness. We can also set you up with a brake controller if needed.